Though nowadays commercial foods for babies have been improved to deliver balance nutrient content and delicious taste, many parents still want to it homemade. In fact, making your own baby food is really less expensive than commercial foods. But on top of that, you can manage the amount of food in your baby’s diet as well as keep ease in mind that all recipe ingredients are used freshly, like meat, fruits, veggies and grains. 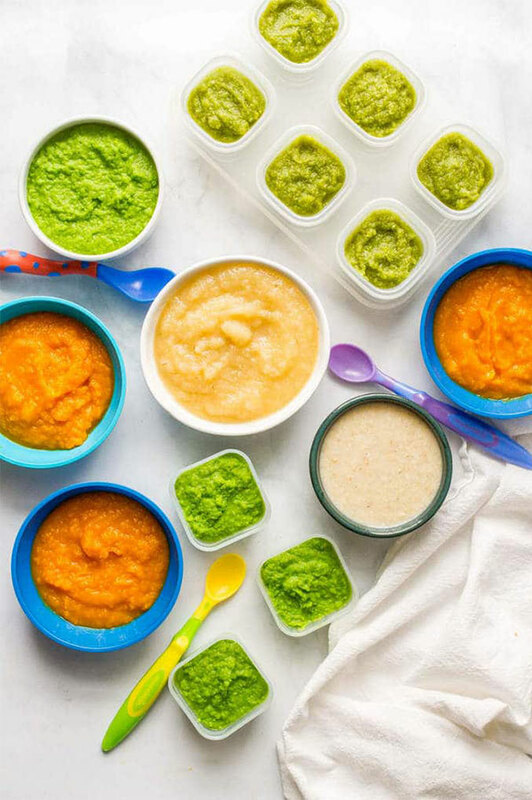 Many mothers think that homemade baby foods are very complicated to carry out, however, they are actually very easy and as simple as a mashed or pureed version of what you’re cooking for other members of your family. 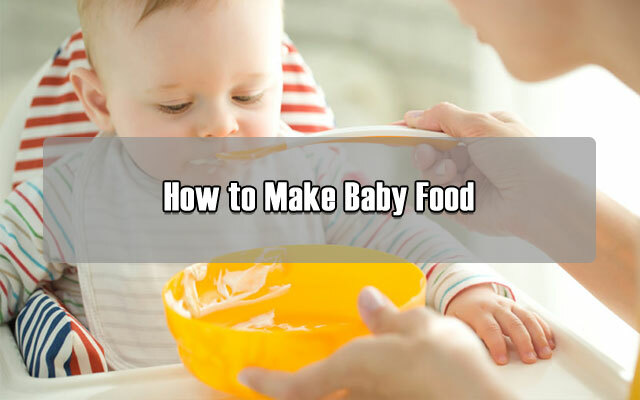 In this article, I will give you hand on how to make a healthy, delicious baby food, from choosing the right equipment, or picking foods to cooking. Let’s get started! First up, you need to prepare some needed tools to help you cook baby foods more easily and quickly. As a mother (or even a father), I know that your amount of free time is narrowed down a lot. 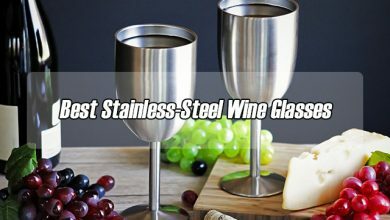 Thus, to come up with a perfect compromise of quick cooking and nutritious baby food, this equipment is going to be your best workhorse in the kitchen. 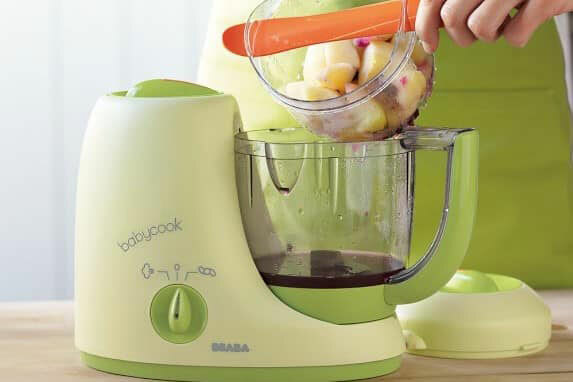 This is a versatile machine as not only you can use it for many your baby foods, but also for the rest of your family as well. 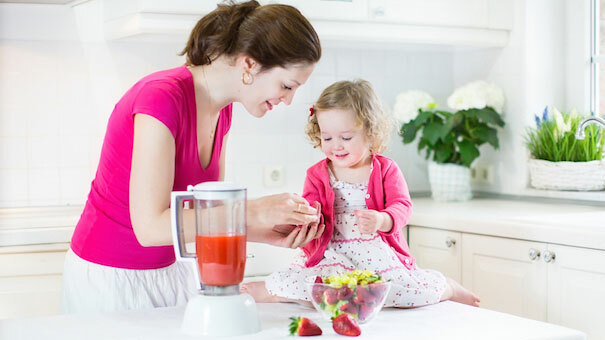 Either a blender or a food processor is all powerful to help you make the finest soup with chunk-free texture so that your baby can enjoy the dishes easily and joyfully. That’s why some parents like them. But there’re still others don’t because of their cumbersomeness and complication of cleanup or their noise. 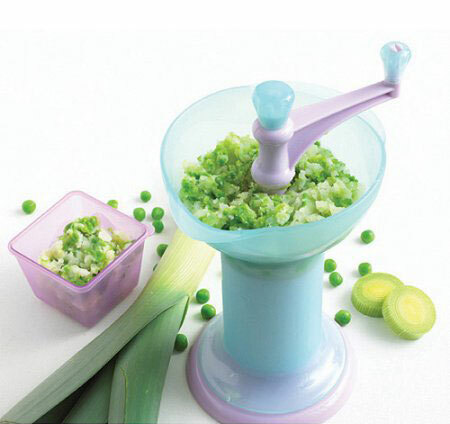 This equipment is specialized in baby-food making. They are convenient and multifunction in preparing food for toddlers and babies, but it’s only when your budget is loose. A good baby-food maker now on the market is within the range of $50 to $200. They are usually designed as an all-in-one machine to steam cook the food firstly and then puree them. However, in some advanced models, they can defrost and reheat the food beforehand. This manual tool is portable, simple and less expensive than those electric tools. However, it’s synonymous to you spending more effort with it to break down chunks of food. Besides, you won’t have many choices in food textures. In all, if you have much free time and want to go for an economic way to make your own baby food, consider this. There’s no point having a fancy blender or food processor if its cumbersome and noisy performance outweighs its quality meal and its small role compared to the whole cooking process. Another option for you is a hand blender. 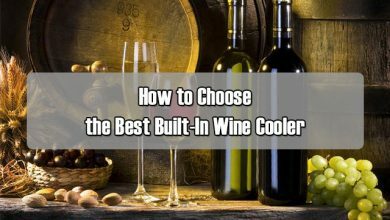 It’s compact, convenient and works really well. It’s just different in the way you blend your food – instead of place food into the machine, now you need to place the machine into the food. 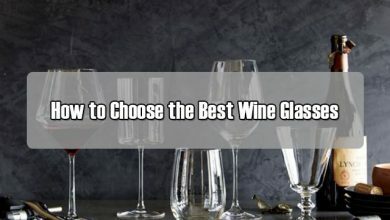 No doubt, this is the most affordable equipment in this list and it’s always in handy to use and store. It’s true that fork is the favorite tools of many mothers to mash down many foods for their babies, like bananas, sweet potatoes and avocadoes. I highly recommend to choosing the freshest veggies, fruits or meat for baby-food making. I’d prefer to use the organic food. Besides, try to use them within a day, or maximumly, two days. If fresh isn’t available, opt for the frozen method. Due to The American Academy of Pediatricians, they highly recommend us to feeding our baby when he/she is 4 to 6 months of age. About an earlier beginning, based on APP, they don’t recommend it, especially feeding a baby under 3 months old those foods like green beans, beets, squash, carrot and green beans because they are high in nitrates. Do I need to worry about nitrates? Actually, you don’t need to worry a lot about this substance. It’s just APP (stands for American Academy of Pediatrics) wants to warn parents to avoid feeding a under 3-month age baby such foods with high content of nitrates because they might cause toxic to the young babies. However, if yours are 4 or 6 months old now, it’s okay because by that age, the digestive system of your baby is matured enough to work on high-nitrate veggies or fruits. 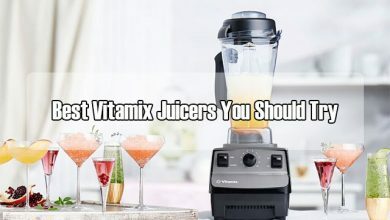 Now, the main part of this article – how to make baby food. 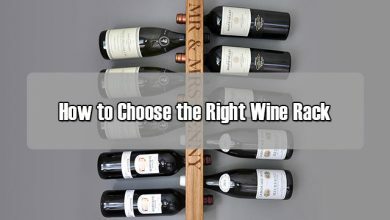 This is a general guidance for almost recipes. Start off with cooking the fruit or veggies. There’re many ways to have this task done: baking, boiling, steaming or microwaving. But amongst them, I prefer the steaming because it helps to keep all nutrients in the food. With huge batches of foods, opt for baking, steaming and boiling method so that you can make them at one time. Next up, take all foods and remove them into the equipment you are going to utilize for pureeing. Set the liquid aside that the foods are cooked in. It is also the liquid you will make the puree to help preserve all leached nutrients out of the food while cooking. However, I don’t mean you have to maintain all leached liquid from foods. Avoid the high-nitrate veggies such as carrots and beets, especially if your baby is under 7-month old. Then, mash the foods down, set your equipment to grind or puree. 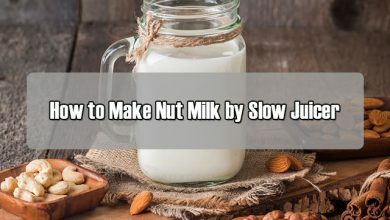 Don’t forget to add some liquid (like breast milk or formula milk) or just plain water into it to add some nutritional boost or more flavorful taste for your baby. Adding liquids while pureeing is absolutely a nice choice because it thins the foods to help your babies enjoy it better. Adding liquids either before or after freezing the purees is all okay. But I highly recommend to utilizing the cooking water because all leached nutrients while you cook will be now added back to the recipe. I myself find it much easier to thin the food before freezing. Tips: Fill the container baskets of your machine less than half way full to avoid food pouring out. Besides, add a scant amount of liquid to thin the foods. 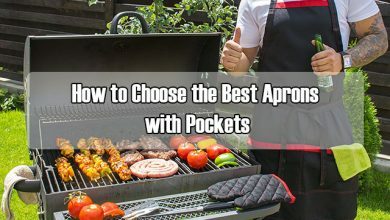 If it’s overstuffed, no appliance is great. If you heat meals in a microwave, use caution because it heats foods unevenly and chances are that it causes “hot spots”, which means some areas of food will be much hotter than other areas. A tip to overcome this matter is to stir the foods well while microwaving and then, let them sit for a couple of minutes before serving your baby. Only dish out the amount of food that’s arguably enough for your baby. Don’t take too much because it’s impossible to reuse the leftover because while feeding, your baby’s saliva might get into the foods, which causes bacteria quite easily. After dividing the food and dish out the portion for feeding your baby, refrigerator the rest in an airtight mason jar. You can freeze them in an ice cube tray. The same with fruits and veggies. By this way, you can preserve them for 6 to 8 months. You can use seasonings, mothers. Though there are many people said that it was good to use the traditional bland food to feed a baby, add some seasoning can help the dish more tasteful and your baby can enjoy it better. With fish and meat, they can last for up to 2 months. Now, that’s the end of this article. If you need any help or have any question about this topic, kindly leave in the comment section below. Thanks for reading!